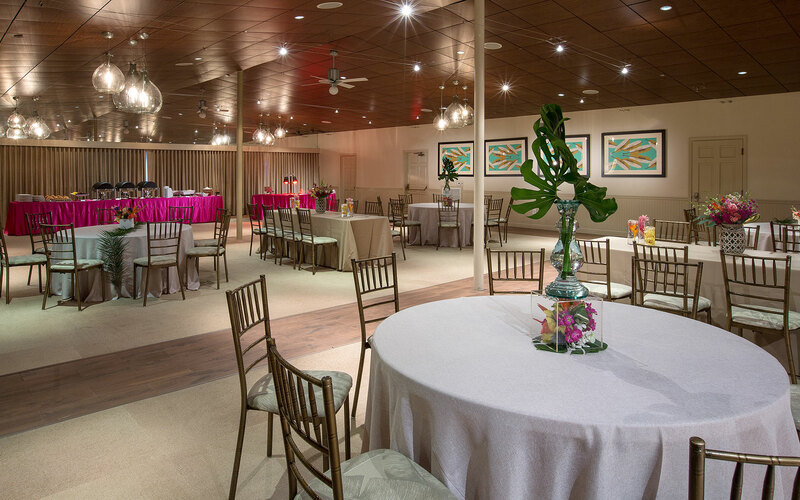 Indoors and out, we've got a magical setting for your wedding events. 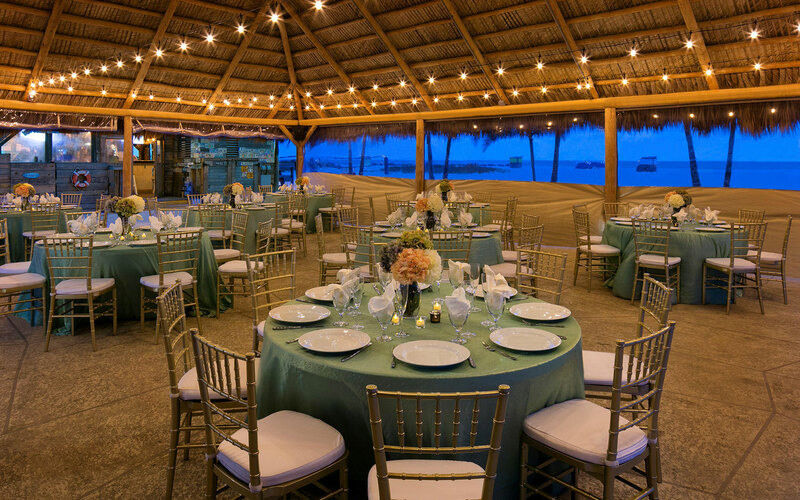 From welcome receptions in the breezy Garden Courtyard to sunset rehearsal dinners beneath the Tiki Pavillion overlooking the ocean to barefoot weddings on the beach, you'll find our exquisite backdrops for celebration. Surrounded by swaying palm trees and the wonders of the open-air sea breeze, the charming oasis of the Garden Courtyard seats up to 200 of your closest family and friends in its most natural and romantic venue. 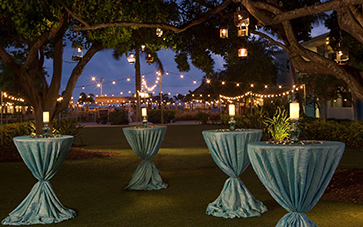 Illuminated lanterns adorn the trees providing the most enchanting ambiance for an evening affair. This wonderland is even perfect for a whimsical garden tea party to celebrate an engagement or any of life’s little milestones. 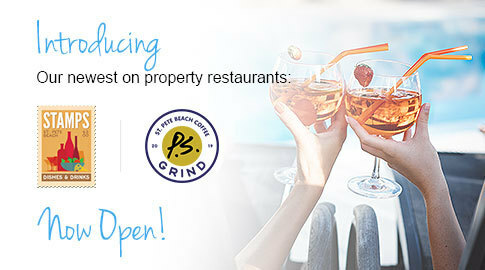 This is sure to be the ideal setting for a romantic beachfront gathering. A dream-like venue that can comfortably accommodate up to 80 guests, the Tiki Pavilion is the perfect balance of romance and beach chic providing direct access to the beach. Be sure to book these first-row seats to the most stunning sunsets around, followed of course by a beach bonfire under the stars. This is not your typical ballroom! While overlooking the Garden Courtyard, breathe in the salty air on the expansive adjoining terrace, the perfect space for a cocktail hour. As you move inside the ballroom illuminated by retro light fixtures, your vision will come to life. 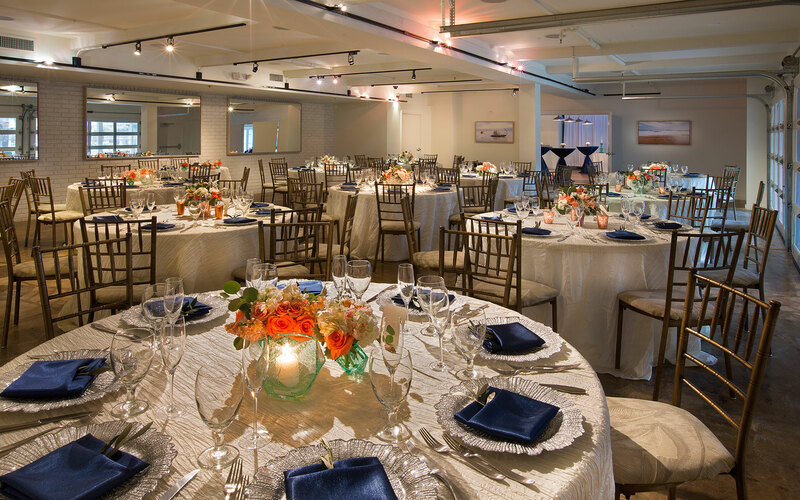 Holding up to 130 guests, this setting is just right for celebrating any special occasion. Don't be fooled by the name. Open bay doors and unique track lighting create a welcome atmosphere for an industrial chic style reception. Seating up to 80 guests, this blank palate is ready to be transformed to showcase your complete vision. Simply open the double doors to utilize our Canteen space for a cocktail hour with a true vintage feel. Your options are endless! Overlook the beautiful Gulf of Mexico under the moonlight or rent a tent for a more extravagant private affair. Create your own scene on our immense sandy beach for an experience you and your guests are sure to never forget.